Fears of invasion were increasing rapidly. Prime Minister Winston Churchilltold the Cabinet on 3 July that there was a growing feeling that an attempt might be imminent. 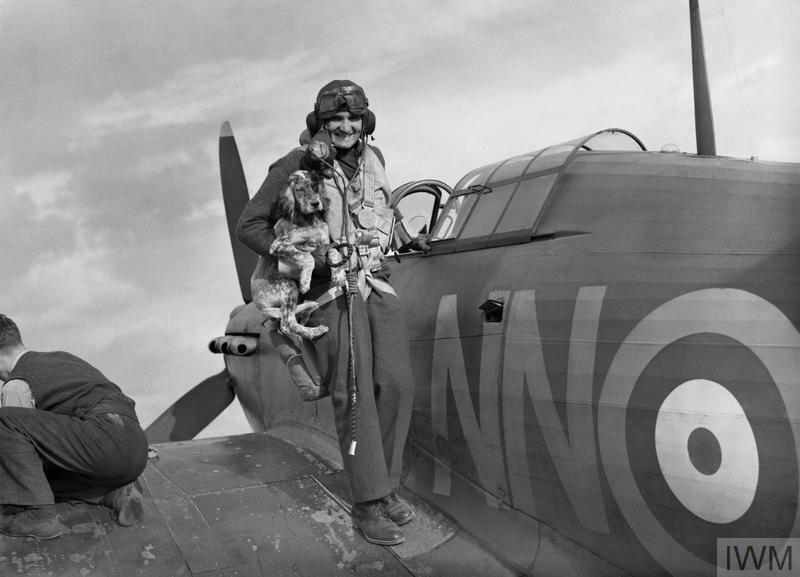 He appreciated the reasons put forward by the Chief of the Air Staff (CAS), Air Chief Marshal Sir Cyril Newall, for the RAF's present concentration on the German aircraft industry, but considered that the coming week might be so critical that it justified transferring priority to the bombing of enemy harbours and shipping. A gunner's view of a formation of Hampdens of No. 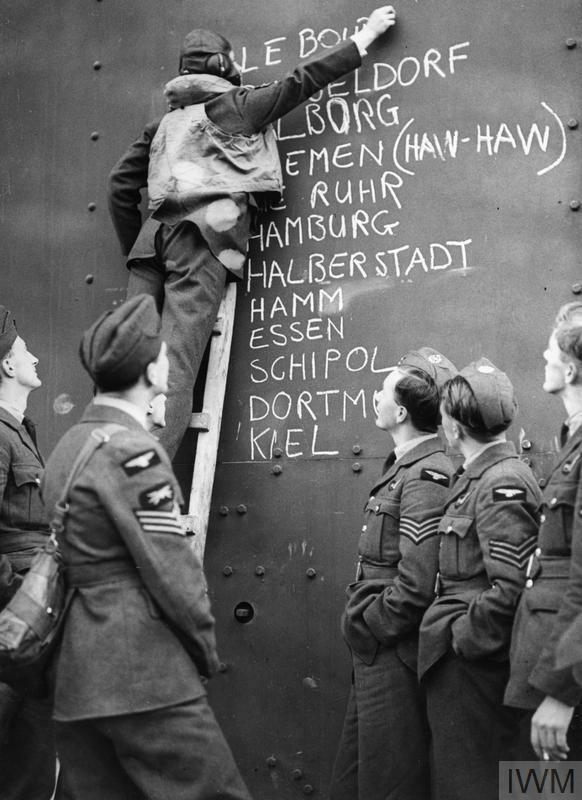 14 Operational Training Unit (OTU), based at Cottesmore in West Sussex, 23 July 1940. A Hampden Mk 1 of 49 Squadron being 'bombed up' at Scampton, June 1940. 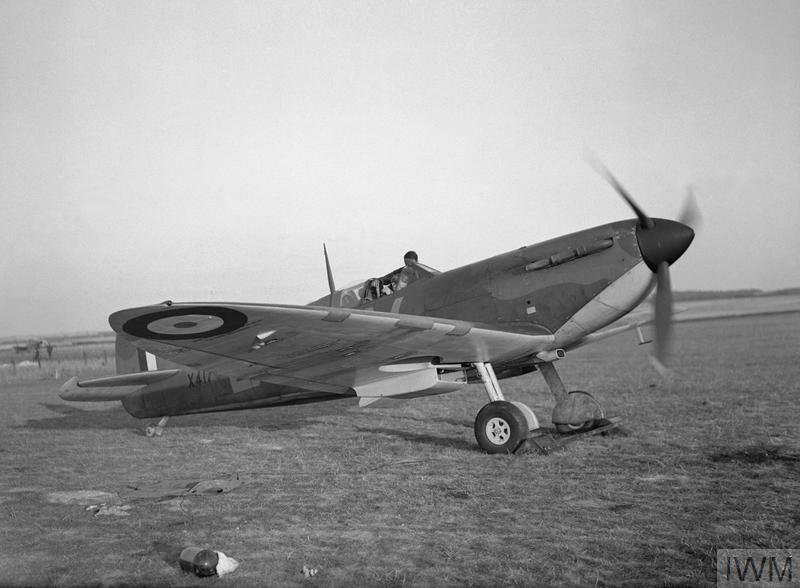 On 12-13 August, aircraft of 49 and 83 Squadrons successfully blocked the Dortmund-Ems Canal, which halted the flow of invasion barges from the Rhineland to the coast for 10 days. 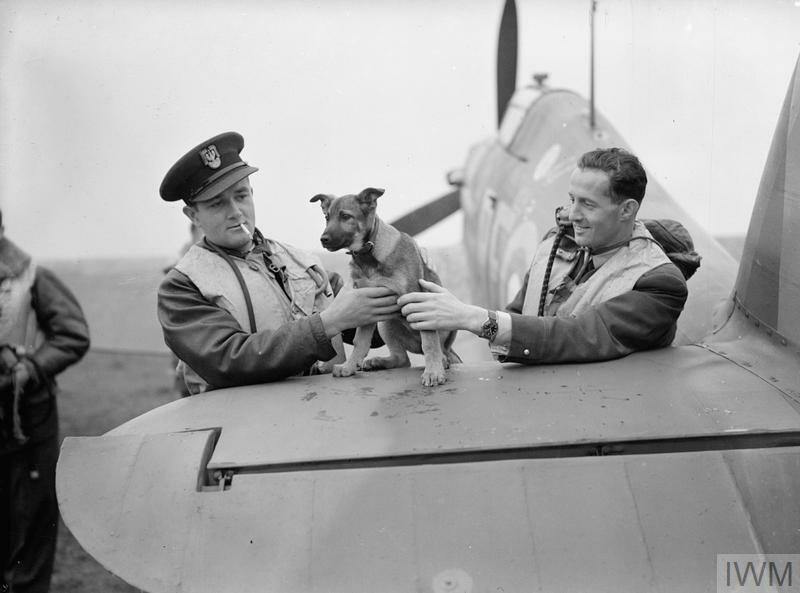 For his part in the operation, Flight Lieutenant R A B Learoyd of 49 Squadron was awarded the Victoria Cross. 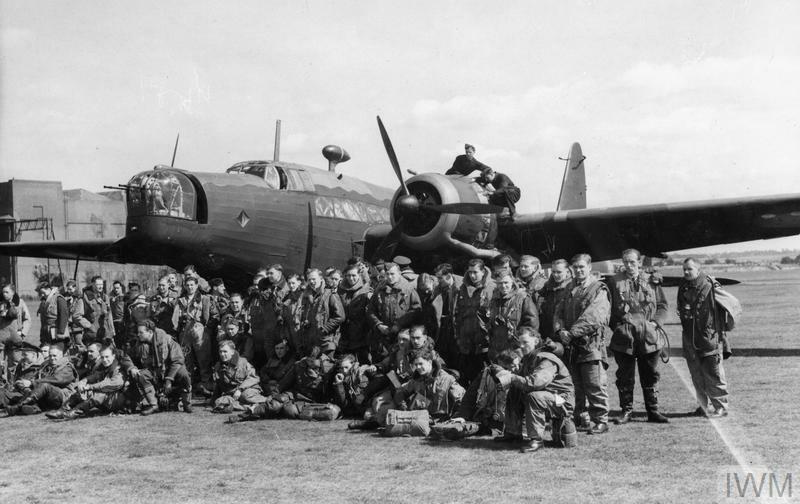 A Wellington bomber and crews of 149 Squadron after their return from Bomber Command's first attack on Berlin on the night of 25-26 August 1940. 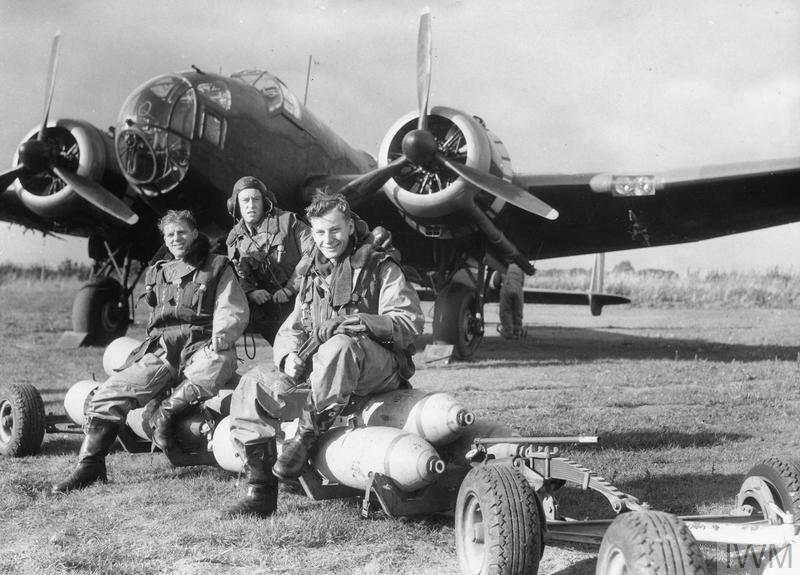 Wellington bomber crews photographed at a press event after the first raid on Berlin, which took place on the night of 25-26 August 1940. 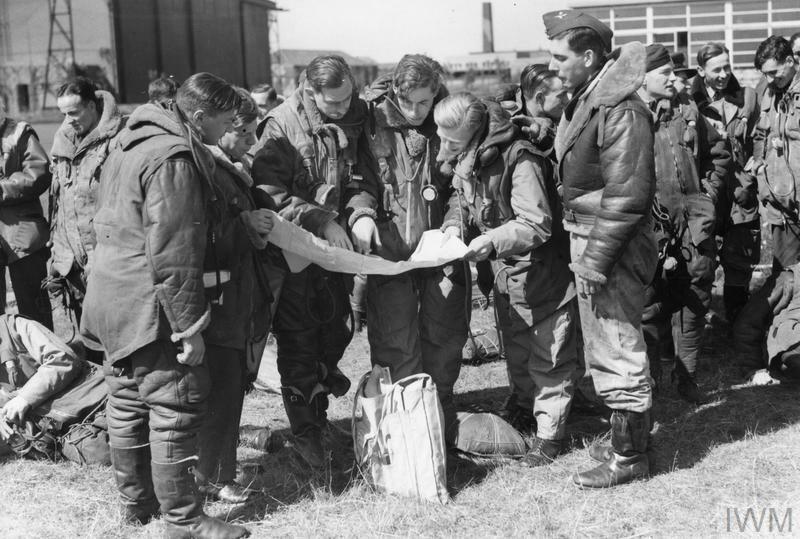 Wellington crews study maps at a briefing with the station commander on 2 September 1940. 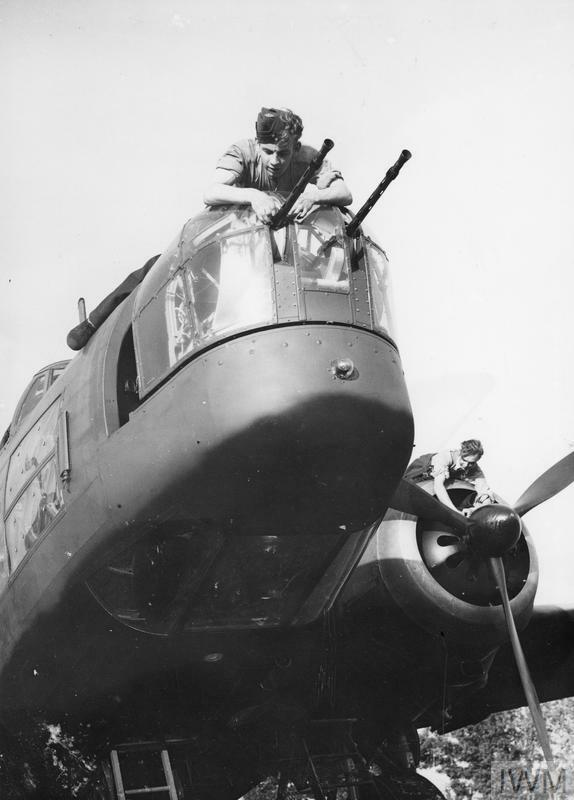 RAF ground crew working on a Wellington bomber, 9 September 1940. 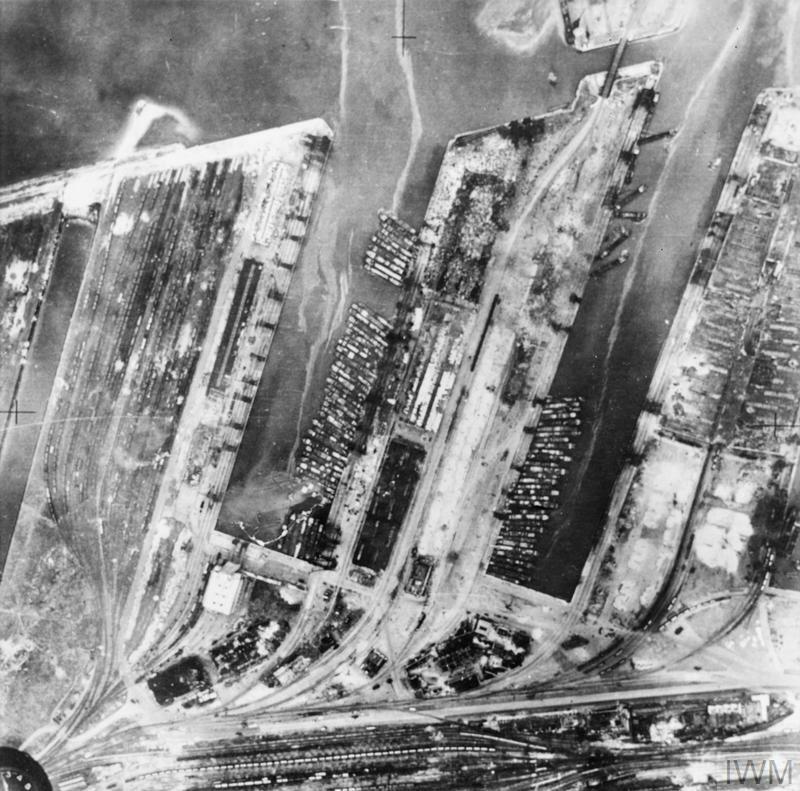 A reconnaissance photograph of Dunkirk harbour after attacks by RAF bombers, 19 September 1940. Substantial damage has been caused to dock installations and some of the invasion craft. 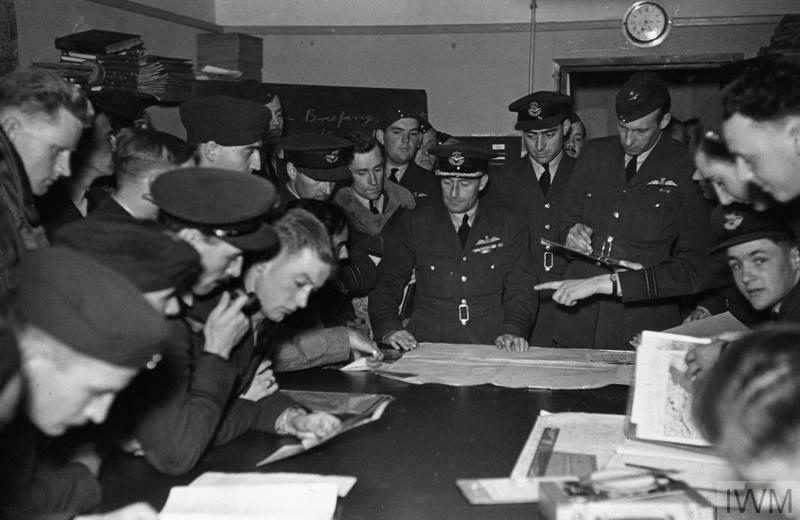 After the war, Arthur Harris wrote that it had become customary to allow aircrews in the final stages of training to undertake the routine bombing of coastline targets, which could be identified and hit with little difficulty. On 1 September 1939 the German Army, supported by the Air Force (Luftwaffe) and Navy (Kriegsmarine) invaded Poland from three sides. Polish defences, already strained under a powerful and innovative German assault, collapsed shortly after the Soviets launched their own invasion from the east on 17 September.